Rachel Nalley took over as Orlison's head brewer about a year ago. Simple curiosity led Rachel Nalley to craft beer. "I kept seeing craft beer on the shelves at the store," recalls Nalley, now the head brewer for Spokane's Orlison Brewing Co.
"The names and label designs caught my eye, and I thought, 'I should give these a try.'" A Spokane native, Nalley at the time was living in Seattle, where she often got together with friends to casually try various craft beers from different regional breweries. Nalley not only found herself developing a passion for beer, but she began to wonder about the process with which it was made. As a self-identified science nerd with a bachelor's degree in biology from Gonzaga University, the science behind the process intrigued her. She decided to look into how to get schooled on the world of craft beer. Nalley's timing was serendipitous as she began her search for a brewing education. Central Washington University had just expanded its craft brewing program to include a Bachelor of Science degree on the subject, in addition to a previously offered certificate. After applying for the certificate program and planning on attending part-time, Nalley was contacted by Dr. Steve Wagner, CWU's craft brewing program director, who informed her that the full brewing degree program would soon be launching. Nalley instantly enrolled, putting her in line to become one of the first students to graduate from the new program. 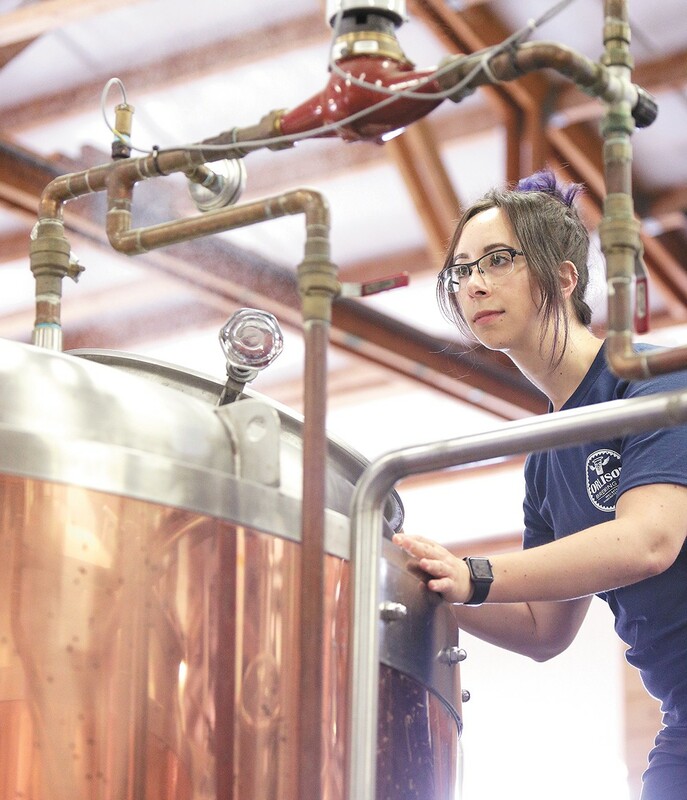 Nalley cites the well-roundedness of CWU's craft brewing program as one of its strengths, and one of the reasons she was able to quickly find work in the brewing industry. "What's really cool about that program is they make you take classes on accounting and business, and other aspects of the brewing industry," she notes. Classes on beer marketing, branding, and even brewhouse safety are included, aiming to graduate brewers with a versatile skill set and broad knowledge of the industry. A fairly new craft brewing degree from CWU prepared Nalley for her beermaking career. Blaine Serrin, the previous head brewer at Airway Heights-based Orlison and an alumnus of CWU's brewing certificate program, had visited one of Nalley's classes to give a guest talk. Upon mentioning that Orlison would be looking to hire an assistant brewer in the near future, Nalley made sure to introduce herself. "I was very persistent," she recalls about how she networked with the crew at Orlison, as well as with a number of other breweries in the Spokane area. "I knew I wanted to come back to Spokane, so I just started knocking on doors and getting my name out there." Stemming from that initial contact at CWU, Nalley was offered a job as an assistant brewer at Orlison not long after graduating in 2016. She jumped on board, eager to use her education in biology to assist with lab work at the brewery. Before long, Nalley was assisting Serrin with the daily brewing operations, learning how to operate Orlison's 30-barrel brewhouse to knock out its flagship lagers, including the Clem's Gold Pale Lager (5.3 percent alcohol by volume, 29 International Bittering Units), Ünderground Stout Lager (6.2 percent ABV, 43 IBU) and the Havanüther Pils (4.1 percent ABV, 26 IBU). When asked about the transition from brewing on a half-barrel system at CWU to Orlison's 30-barrel production system, Nalley admits there's a learning curve, but says that brewing techniques are all the same regardless of a system's size. "Knowing how the brewing process works makes it easier to trace the valves and the lines and figure out what you're doing... but there definitely was a challenge going from a 15-gallon system to 900 gallons," she explains. It wasn't long after beginning her career at Orlison that another opportunity presented itself to Nalley. In the summer of 2016, former head brewer Serrin decided to go back to school to further his education. Orlison's founder and brewmaster Bernie Düenwald had already transitioned out of the day-to-day brewing operations, which meant that Orlison was in need of a head brewer. Naturally, Nalley was offered the position, which she took with excitement. "It was a real honor to come into a brewery with an established brand and beers and have someone give me the reins and say, 'It's up to you to brew them now,'" Nalley says. Now, as Orlison's head brewer for more than a year, Nalley has settled into her place, finding a balance between maintaining the brewery's core lager lineup while also experimenting with new recipes and techniques. Already, the brewery's house ale yeast strain has changed, and a new dry-hopping technique is being implemented in making Orlison's IPL (India Pale Lager; 7 percent ABV, 53 IBU), thanks to her influence. 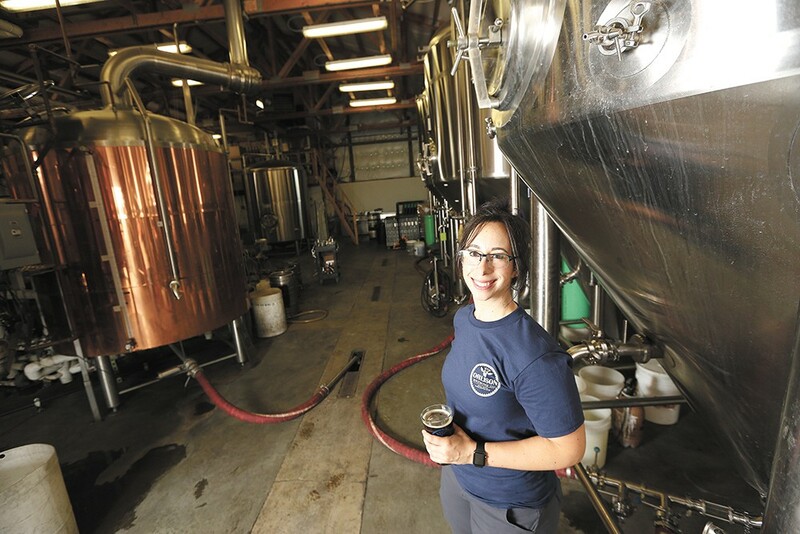 She also plans to continue to use the brewery's pilot system to experiment with other beer styles that could one day end up as part of Orlison's main portfolio. As far as the future goes, Nalley looks forward to developing more one-off and seasonal beers at Orlison. Creating new recipes that are a hit with the brewery's followers is one of her favorite parts of the job: "I think the most rewarding thing for me is getting to produce something that other people can enjoy with me." When looking back at her journey into the world of craft beer, Nalley demonstrates she's not afraid to try new things. As Orlison continues to grow its production and distribution, having a head brewer ready to roll with the punches is a good thing. "Every day is different," Nalley summarizes. "Every day there is something new that happens in the brewery, and having that variety in your job is a lot of fun." Favorite food you like to pair with beer? I am a nachos fan. I like me some nachos with beer. Do you have a dream beer destination you'd love to visit? I recently had a chance to visit Puerto Vallarta, Mexico, and it was really awesome to experience their craft beer scene. It's growing down there, and it was really neat to see. What are you up to when you aren't brewing/drinking beer? I like to tackle outdoor activities, not necessarily with any skill, but with a lot of enthusiasm! I like to mountain bike and snowboard.